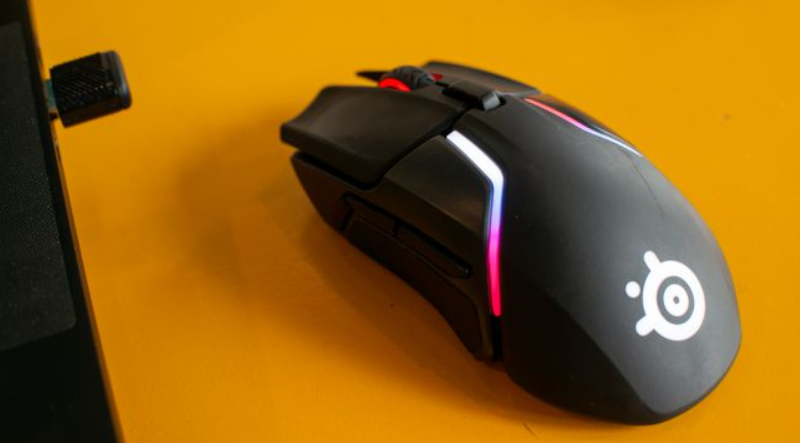 The SteelSeries Rival 650 offers impeccable tracking and dependable connectivity, but a steep price and some hard-to-use buttons hold it back. SteelSeries has been meeting the needs of gamers with some of the best gaming accessories around, and that’s been apparent nowhere more so than in its mice. The company has consistently put out some of the best gaming mice. And, with the company’s Rival 600 topping our rankings, the new Rival 650 comes to deliver more of that excellence while adding wireless connectivity. The Rival 600 already came at a bit of a premium, $79 or £79 (about AU$100), compared to some other great mice that cost about a third less. The addition of wireless connectivity knocks the price up for the $119 (£119, AU$169) Rival 650. It’s available now, but that price puts it in nearly a league of its own. The closest priced competitors are the similarly exorbitant $149 (£149, AU$249) Logitech G903, and the $139 (£139, about AU$195) Razer Lancehead. Both of these competitors are wireless, and Logitech has noteworthy experience in putting out quality wireless products. But, when faced with that kind of competition, the Rival 650 holds its own. At a lower price, it manages to offer perfect tracking through flawless wireless connectivity, a unique liftoff sensor, premium RGB lighting, and competent design. Too bad its wired competition is so much tougher. 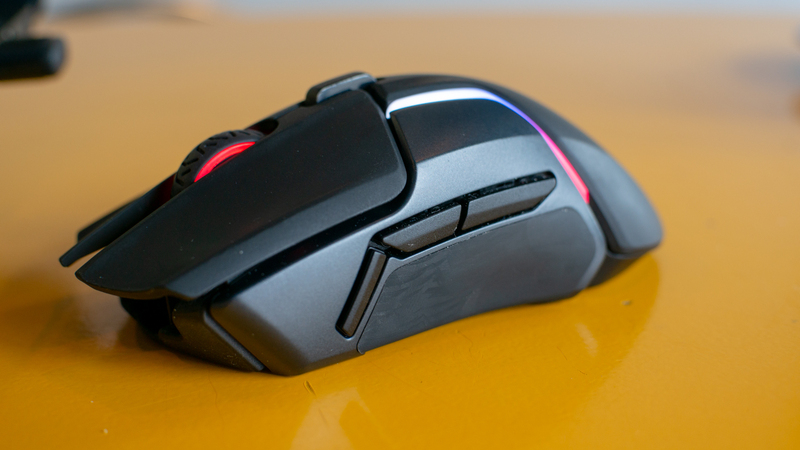 The Rival 650 is visually indistinguishable from its predecessor in almost all ways. The difference is that there’s no cable coming out the front. Instead, the front has a recessed micro-USB port for plugging in the charging cable. The design features SteelSeries’s signature blending of smooth curves and hard lines, but it remains comfortable in the hand. That’s thanks in part to the Soft Touch paint applied onto the palm and primary mouse buttons. The matte black of the Soft Touch material keeps the mouse looking a bit like a Batmobile for your hand. Meanwhile, smooth rubber siding offers decent grip, though not quite the solid purchase we got from even SteelSeries’s Rival 310. There are seven distinct buttons and a clickable scroll wheel. The primary mouse buttons are split from the body and offer consistent tactile feel using SteelSeries Switches rated for 60 million clicks. On the left side, there are three slim thumb buttons. While each offers a solid feel, their placement is slightly off. We find only the closest back button is easily accessible. 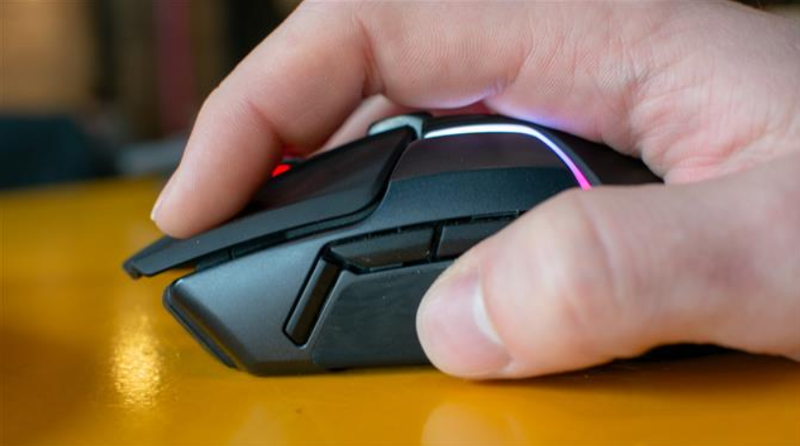 No reasonable variation of our grip put the other two thumb buttons in easy reach, though serious claw grips and smaller hands may have an easier time moving their thumb forward without extending their index and middle fingers over the front of the mouse. Aside from this design quirk, most of the build is commendable. RGB lighting is split into four areas, with eight total zones, as two strips on each side can be configured with three separate colors. The lighting is brilliant as well, both in terms of customization and visibility. At 121 grams, the Rival 650 offers a nice heft in the hand, and it can be customized by popping off each side and slotting in up to 32 grams (in 4-gram increments) of extra weights. It’s robust, too. We applied some serious pressure to the mouse, but couldn’t feel the slightest flex. Even prying up the main mouse buttons with slightly more than a reasonable amount of force didn’t pop them off. Being wireless, there’s a dongle design to consider as well, and this one is unfortunately thick. It only sticks out from a USB port to take up about the space as a piece of Chex cereal or a penny, but it’s rounded and bulky enough to interfere with plugging another USB thumbdrive above or below it. And, there isn’t any storage space in the mouse to pack the dongle away. For portability, this isn’t a win. It’s no plug-and-forget dongle. As a premium product, there was no way SteelSeries was going to offer less than perfect performance. And, it just so happens that the company didn’t fail there. From the outset, setting up the Rival 650 is easy with the SteelSeries Engine software is a breeze. The program even points out computer settings that could impact the mouse’s effectiveness in games. That said, the Rival 650 only switches between two CPI settings per profile, which feels like too few. The Quantum Wireless connection the company developed lives up to the demand for serious gaming. It delivers a 1,000Hz polling rate, and we don’t notice any hitches. We even play with the considerable potential for interference, with a smartwatch on and a Wi-Fi connected smartphone right next to the dongle. It never flinched. And, that wireless connection delivers all the performance of the TrueMove 3+ sensor. That’s up to 12,000 CPI with one-to-one tracking up to 3,500 CPI, and customizable lift-off detection between 0.5mm and 2mm. The sensor can handle intense speeds over 350 IPS and accelerations up to 50G. Once we found a comfortable setting for liftoff detection, the Rival 650 performed as well as any mouse we’ve ever used. When going slow and steady in Insurgency: Sandstorm, we can count on the accurate tracking to help us get on target. When going on a mad dash through Call of Duty: Black Ops 4, we similarly have no trouble quickly snapping to targets and putting them down. Our love of the performance is somewhat limited by the hard to reach thumb buttons. 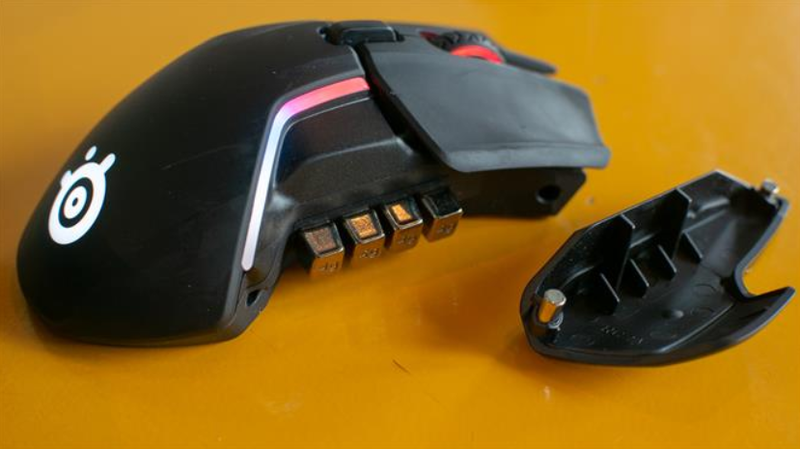 While not every game benefits from extra thumb buttons, we often find they can be handy, and the Rival 650’s aren’t. The middle mouse button also offers a touch of discomfort. It takes just a hair more muscle to use than the main mouse buttons, but that’s enough to make it tougher to reliably or rapidly click. Tilting the wheel to right helps actuate the middle mouse button with more certainty, but that may take some adjusting to get used to. Battery performance is good with lighting turned off. We can go through a week with considerable gaming and still have battery lfie to spare. Turning all of the LEDs on will burn through the battery considerably faster. Luckily, fast charging does the job of providing it with 10 (or more) hours of battery life in just 15 minutes, and the Rival 650 works perfectly as a wired mouse. From a performance standpoint, there’s nothing not to love about the Rival 650. 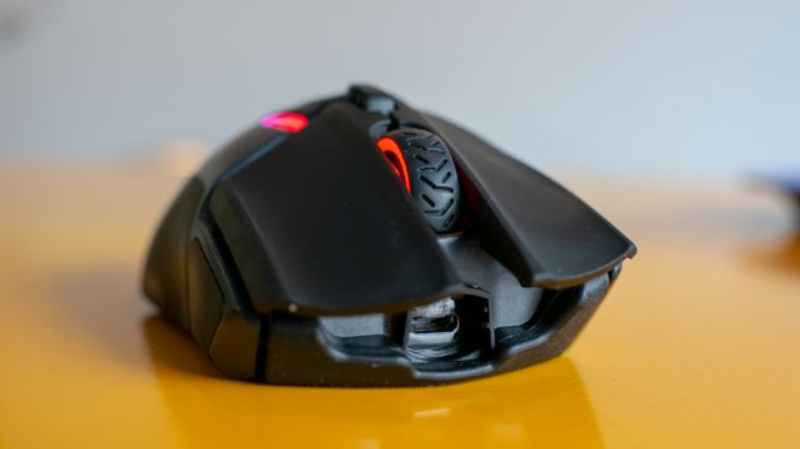 It offers the knack for tracking and customizable liftoff that makes the Rival 600 a top pick while offering a wireless connection. If you need that blend of wireless and accurate tracking, it doesn’t get any better than this. But, as our gripes over some of the buttons and the price tag aren’t easy to overlook, it’s hard to call this is a winning mouse. For far less money, the same performance can be had wired from the Rival 600, or the wireless Corsair Dark Core RGB SE can offer similarly dependable tracking and Qi wireless charging when not in use.